ubuyfurniture.com can help you find the perfect magazine rack for your office, entry way, or living room. 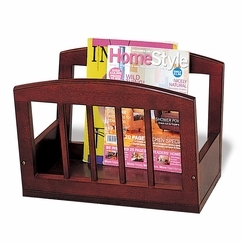 We have a nice selection of magazine racks, in several different styles and finishes. Our Magazine Racks ship FREE to the continental U.S., usually within 3-4 business days!